I was approached by Brad and Jenna Tritten from Nailed It! 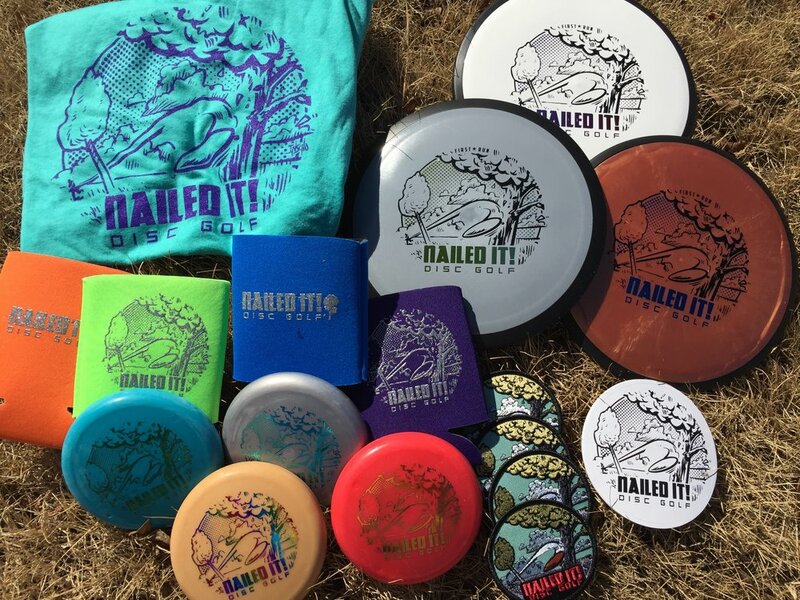 Disc Golf store out of Weston, Wisconsin. One of the best clients are the ones who see your strengths and let you have creative freedom to hit the sketchbook and see what sticks. Going into this stamp, I wanted "Nailed It! Disc Golf" to be priority one. This kind of 2 foil concept worked well for previous Solitude Open stamps so I translated it to their idea. 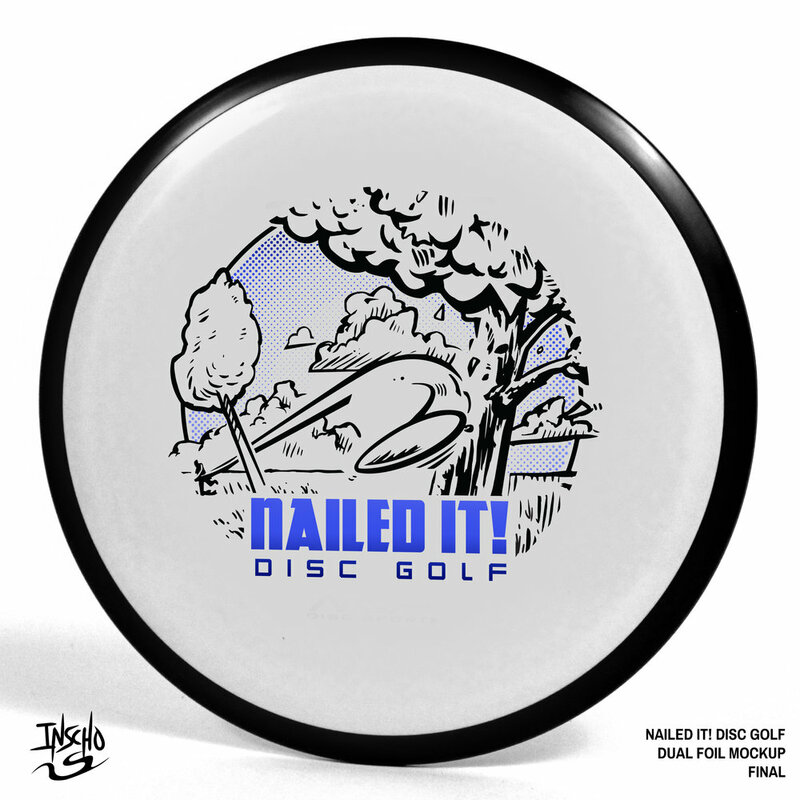 The original Nailed It logo includes a disc flight path and a tree to the right of the typography. I felt extracting that from the logo and developing a stamp along the lines of a disc golfers nemesis. Tree's seem to be something even the most skilled disc golfer can't always escape. I felt like this idea would resonate with most disc golfers. The plan was to keep the illustration in black/ base foil and allow their logo shine with the second metallic foil. 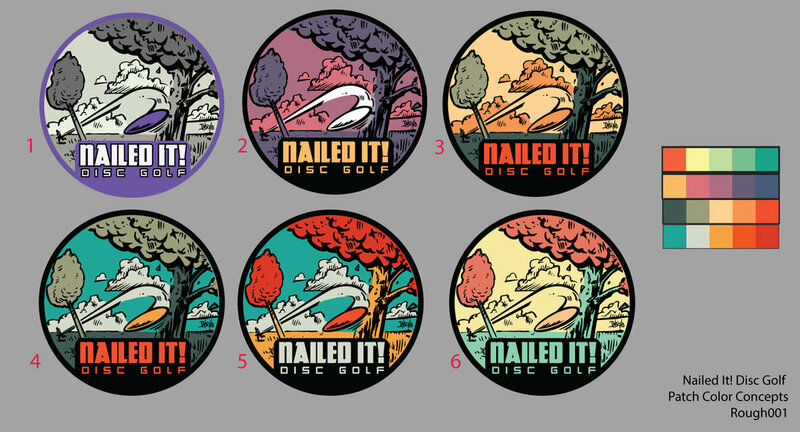 Toward the end, I felt a soft gradient could really lend itself to different colored foil options for the hot stampers at MVP Disc Sports, Headquarters. This stamp was also run as a single foil offering for Dynamic Discs, Latitude 64 and Westside disc options. I want to thank Brad and Jenna of Nailed It! Disc Golf for their patience and overall positive attitude throughout this entire design process. Everything from stamp creation to help with embroidered patches. It was one of my favorites from 2017. What do you all think? I'd love to hear your initial thoughts and reactions in the comment section. You can purchase these discs and various items at their website!